When you visit either our Englewood or Midtown New York City holistic and cosmetic dental office, your health and comfort is our top priority. Dr. Janys Gelberg and her entire team will ensure that you find a warm and supportive environment and the personalized, gentle care that you deserve. Your smile plays a major role in how you perceive yourself, as well as how others perceive you, and should complement – even enhance – your personality. Oral health is critical to your well-being, a fundamental part of your general health. Our holistic philosophy to comprehensive dental care integrates both traditional and alternative approaches. Dr. Gelberg has over 30 years of experience and will work with you to create a treatment plan best suited to your individual needs. We have proven competence in artistic dentistry and we will choose the treatment plan that will give you the healthiest and most beautiful smile. Dr. Gelberg can also provide you with Nutritional Counseling and facial enhancement treatments such as Botox, Restylane & Juvederm that can assist you in enhancing or completing your new smile. For those patients who are anxious about dental treatment, Dr. Gelberg offers sedation dentistry options that include, Oral Sedation, Nitrous Oxide (laughing gas) and Aromatherapy. These relaxation techniques can ease your anxiety, help you relax and make you feel more comfortable during your dental treatment. Contact us today with any questions or to schedule your appointment. We look forward to meeting you and assisting you in achieving the highest level of oral health and a beautiful smile. Please browse through our website and be sure to contact us if you have any questions or would like to schedule an appointment in our Midtown New York City or Englewood, NJ office. Dr. Janys Gelberg is a highly regarded Midtown New York City cosmetic dentist who has years of experience helping patients throughout the Metro New York City area with their cosmetic dentistry needs. In addition to providing relaxation/sedation dentistry, teeth whitening, dental implants, porcelain veneers and Invisalign. Dr. Gelberg also offers Nutritional Counseling and facial enhancent services that include Botox, Restylane & Juvaderm. Dr. Janys Gelberg is a highly regarded Englewood, New Jersey cosmetic dentist who has years of experience helping patients in the Englewood area with their cosmetic dentistry needs. In addition to providing relaxation/sedation dentistry, teeth whitening, dental implants, porcelain veneers and Invisalign. Dr. Gelberg also offers nutritional counseling and facial enhancement services that include Botox, Restylane & Juvederm. Midtown New York City & Englewood, NJ Cosmetic dentist Dr. Janys Gelberg is committed to dental excellence and offers Metro New York area patients with a comprehensive list of general, restorative and cosmetic dental services that include, teeth whitening, porcelain veneers, crowns, dental implants, bridges, tooth colored fillings, smile makeovers, periodontal treatments & root canal therapy. 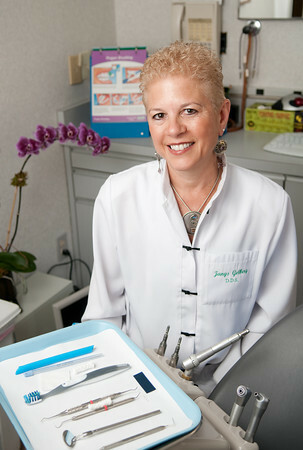 Please visit Dr. Janys Gelberg in her Englewood or Midtown New York dental office today!